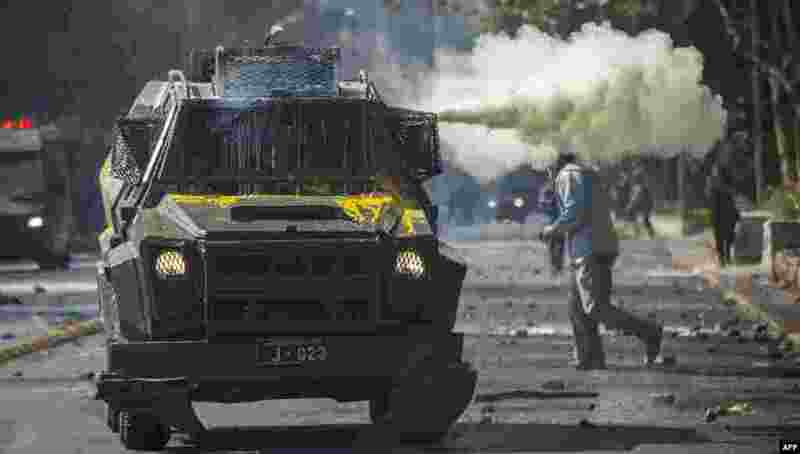 1 Riot police disperse students protesting against the slowness in the progress of the Chilean education reform, in Santiago. 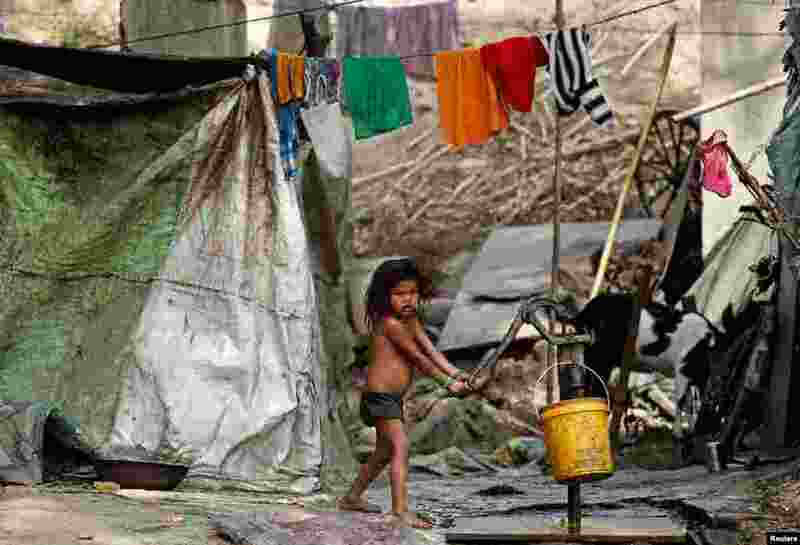 2 A child uses a hand pump to extract water on the banks of the river Yamuna in New Delhi, India. 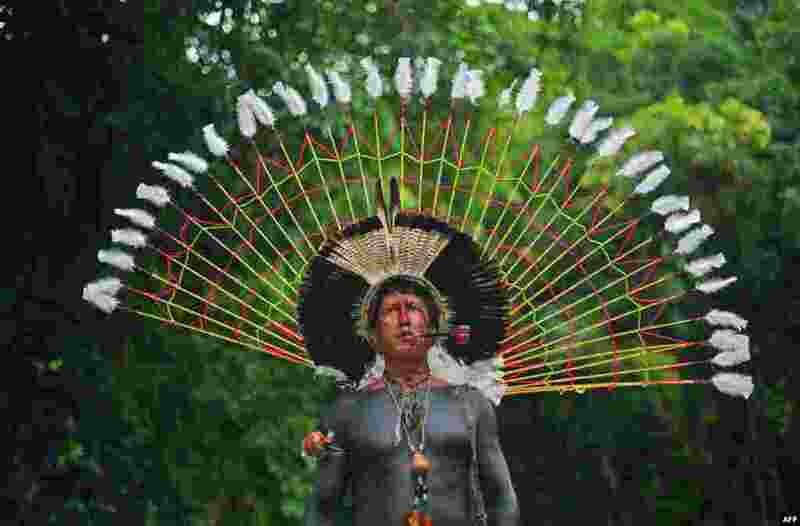 3 Txoutlaka, of the Fulni-o tribe, poses for a picture in Rio de Janeiro, Brazil. 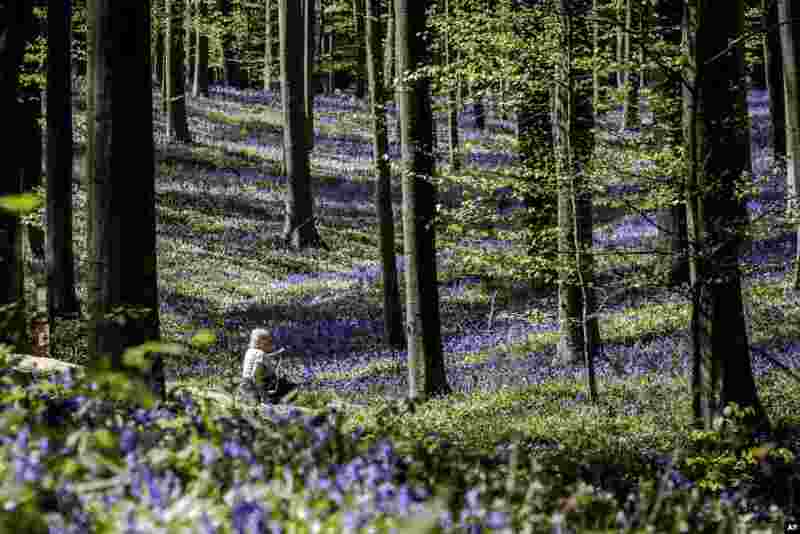 4 A woman sits on a tree trunk in the Hallerbos as bluebells bloom in Halle, Belgium.